PX No.557, a photo by LANCEPHOTO on Flickr. 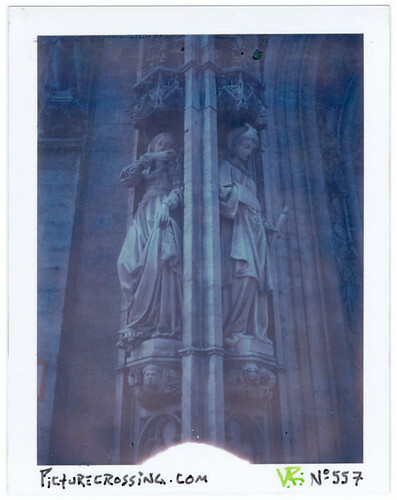 PX No.557 (LC No.80) is an image of the statues Peace & Providence at the front of the old Hôtel de Ville in the Grand Place of Brussels, Belgium. see the spot on my Google Map HERE. LEFT: This picture was left on 4/7/2012 at the Kölner Dom Cathedral in Köln, Deutschland during a short trip there with my wife. great project! Thanks for your piece of art No. 557. I found it Saturday 7th, March (April), 4 pm, while I was waiting for friends from the Netherlands at the main entrance of the Cologne Cathedral. Looking around and...what's that??? Nice surprise!! 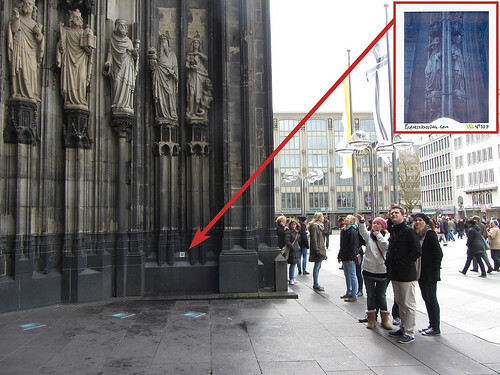 I didn't had time yet to have a close look around the "Kölner Dom" to find out if the picture was taken here. At a quick glance I didn't find the statues. Maybe inside, because it is quite dark? I think, this piece of art will stay a little in Köln, but when I find a good place I will release it into the wild again for someone else to have the pleasure to find it. Sure I will send you a mail about the place and time of release. A photo I shot here in Köln this day will be crossed and left in Brussels sometime soon.